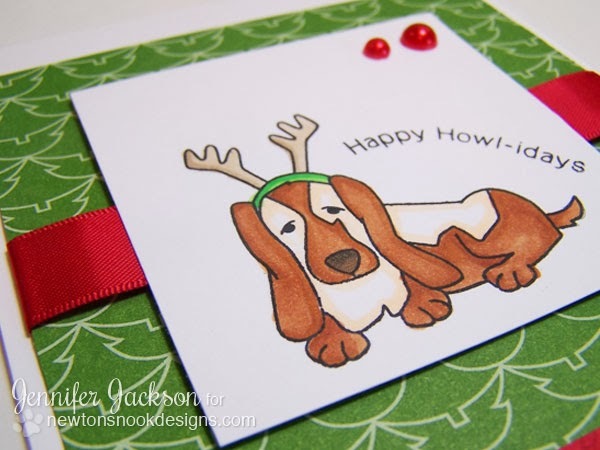 When I was designing the stamps for this release I had the idea to create a set with dogs just for Christmas so I created Canine Christmas. Although I don't have a dog I do have a lot of friends who do and I thought it would be fun to be able to make cards for them. 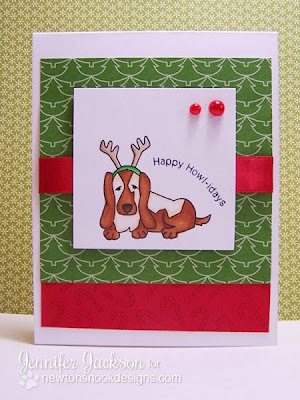 The Basset Hound on this card was inspired by my friend Lisa who has the sweetest Basset Hounds! 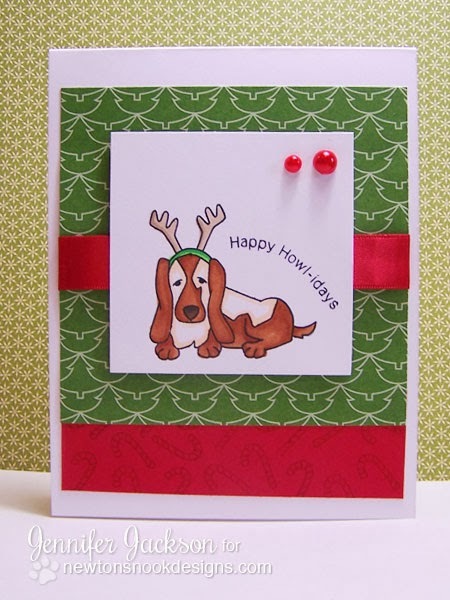 Since I've had the opportunity to get to know them a little bit, I thought it would be fun to include a cute Basset on this set! This guy's for you, Lisa! 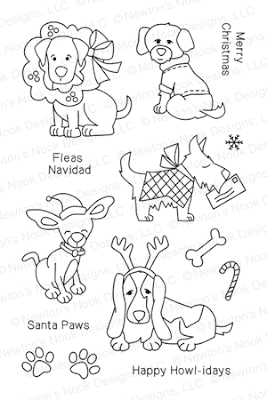 This set also offers a variety of other dogs too -- a Lab, a Chihuahua, and a couple Teriers!